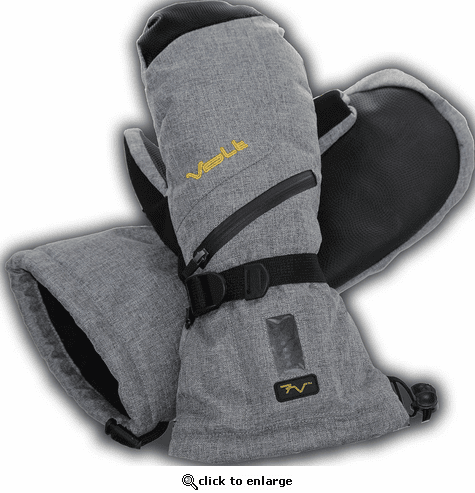 The Maxima heated mitts are lightweight using a nylon shell combined with 150 grams of Thinsulate insulation. The mitts also include nubuck thumb accents and a rubber palm for extra grip and durability. By utilizing the Zero Layer® heat system the Maxima Mitt eliminates bulk and maximizes heat transfer. Constructed with a waterproof/breathable membrane these mittens will not only keep you warm but also dry. Great for all snow sports and outside winter activities. The LED lights on the charger will show �red� when charging. Press the �power� button to activate and select desired power level. 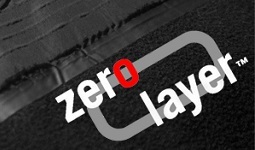 Our patented Zero Layer heat system helps eliminate bulk while providing more efficient heat transfer than any other heating system available. What do we mean by more efficient? To keep it simple, it is because we basically eliminate the need to �hide� our heating system behind additional fabric layers which impedes heat transfer. This translates to more heat, better heat coverage, less battery power and longer run times. Each of our ultra-thin heating panels are constructed using tiny, imperceptible stainless fibers that are woven onto an insulated fabric. We then encapsulate these heating elements with a special thermal bonding sealing tape � permanently protecting the heating panels and connections from the wear and tear caused by the rigors of daily use making it not only durable but also waterproof. The LED light(s) on the charger will show red when charging. Press the \xA5\xCB_power\xA5\xCB_ button to activate and select desired power level. Very comfortable mitts that provides lots of heat to my very cold hands!